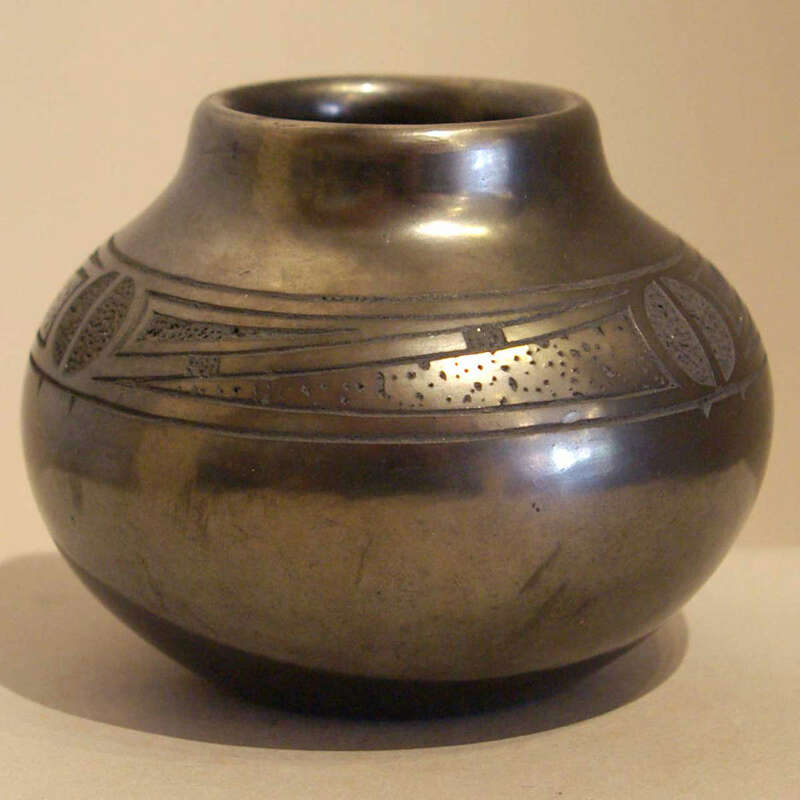 Tony Da was the grandson of Maria Martinez, son of Popovi Da. 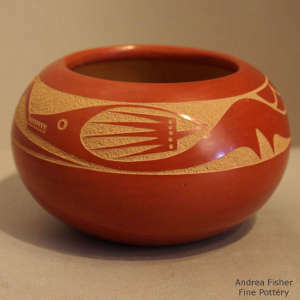 He grew up learning to make pottery from his grandmother and to paint from his father. 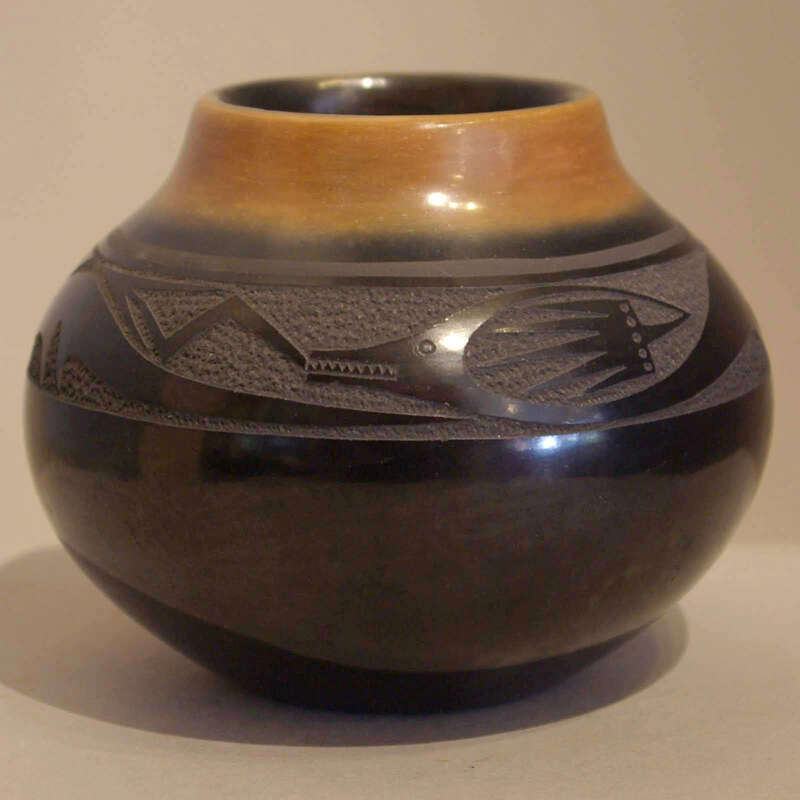 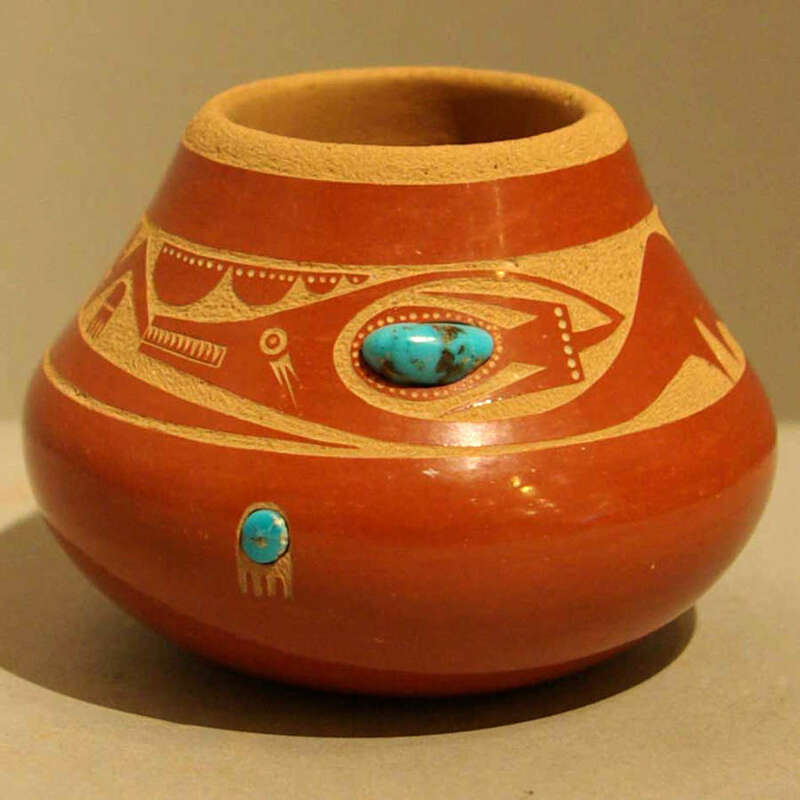 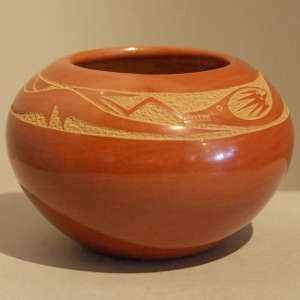 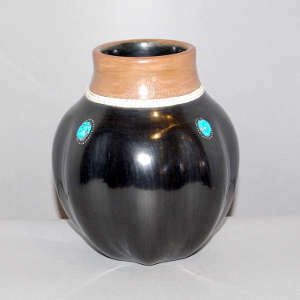 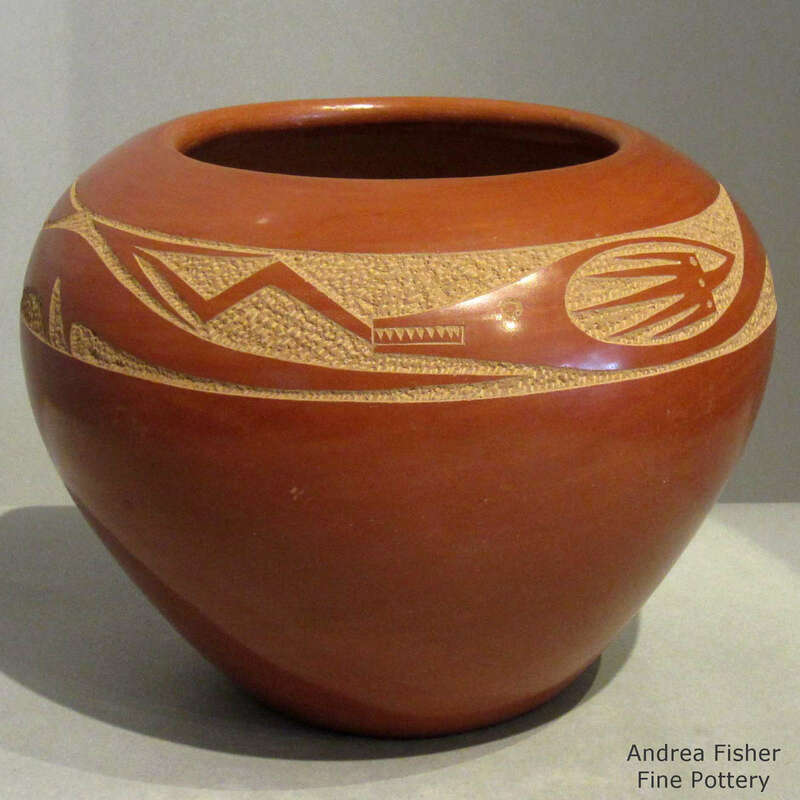 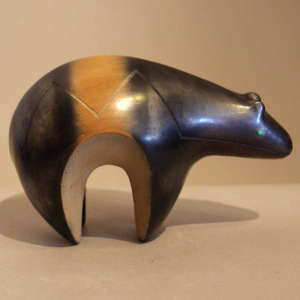 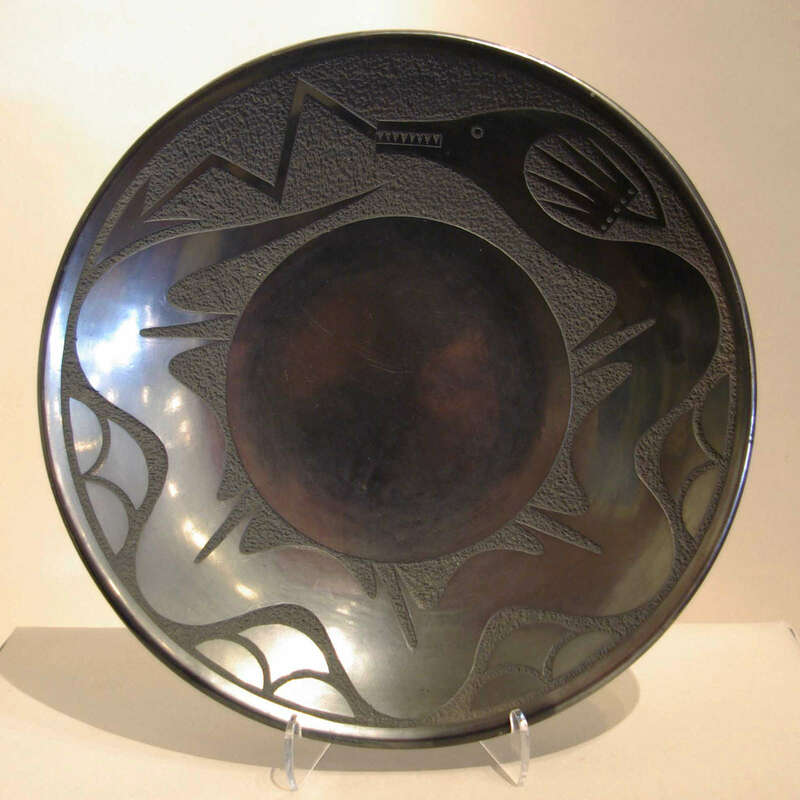 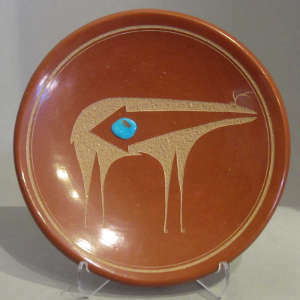 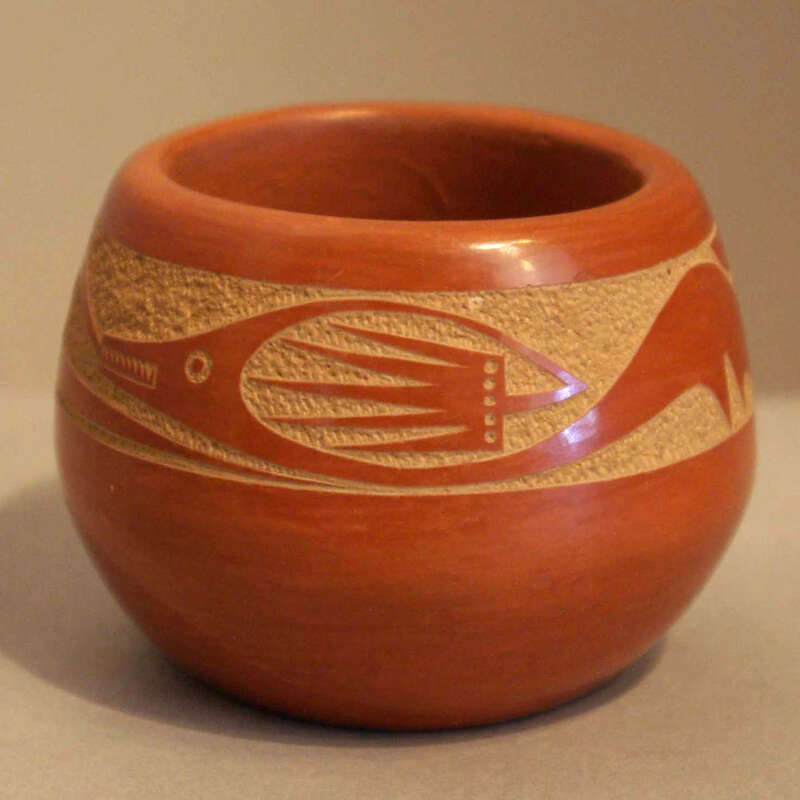 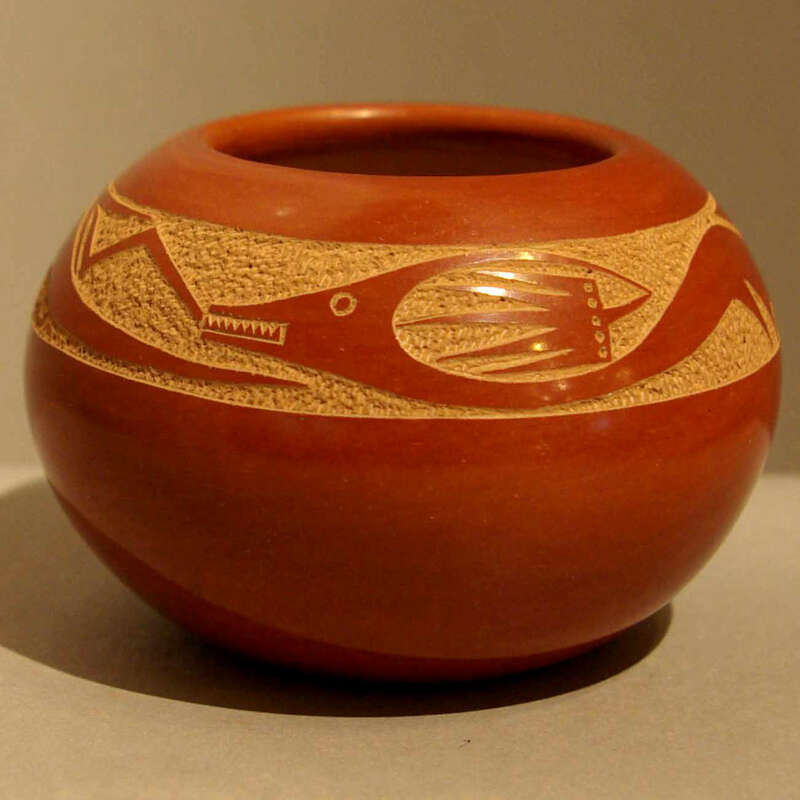 There are many folks who consider his work to be among the very best of all Pueblo pottery. He was certainly among the most innovative. 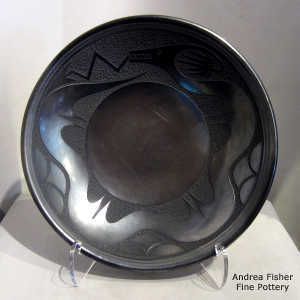 Anthony Edward Da was born into San Ildefonso Pueblo in 1940 and grew up surrounded by potters, painters and jewelers. 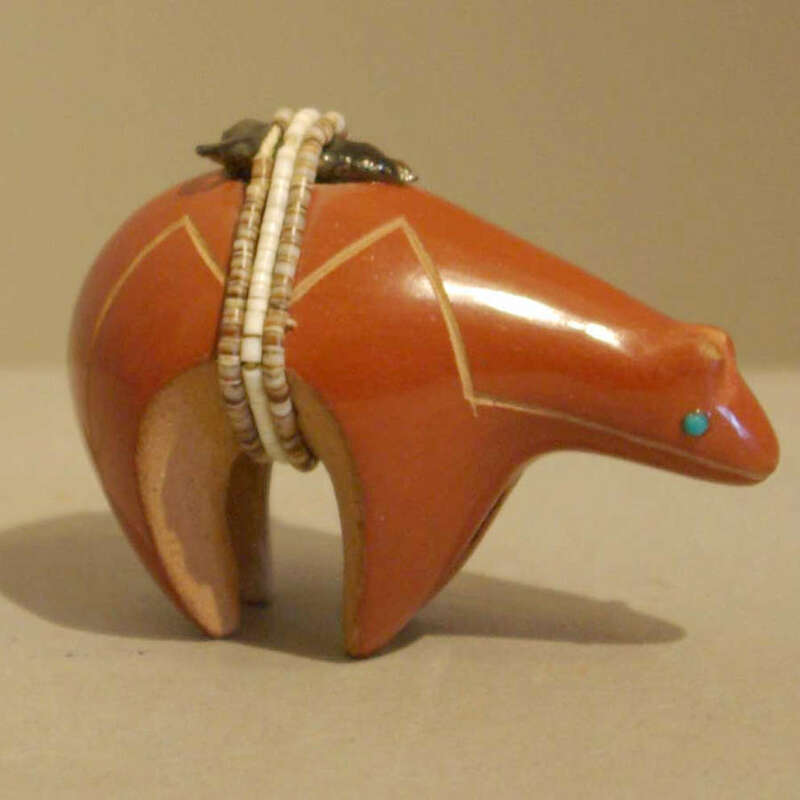 After high school he joined the Navy, then returned to the pueblo four years later. 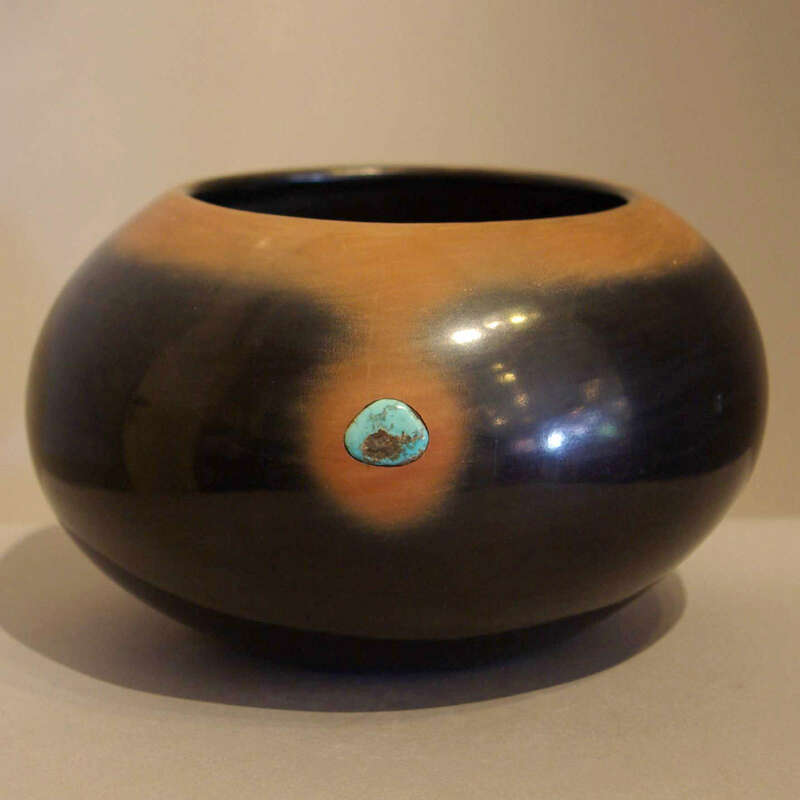 He became fascinated with what his father and grandmother were doing so he apprenticed himself to them. Three years later his works appeared alongside his grandmother's and father's at the "Three Generation Show," an exhibit honoring the Martinez-Da families at the US Department of the Interior in Washington DC in 1967. 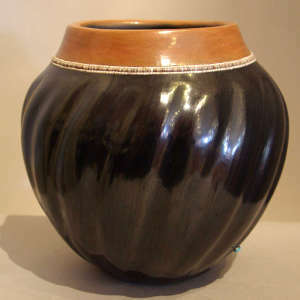 His career was cut short in 1980 by a motorcycle accident that left him unable to work. 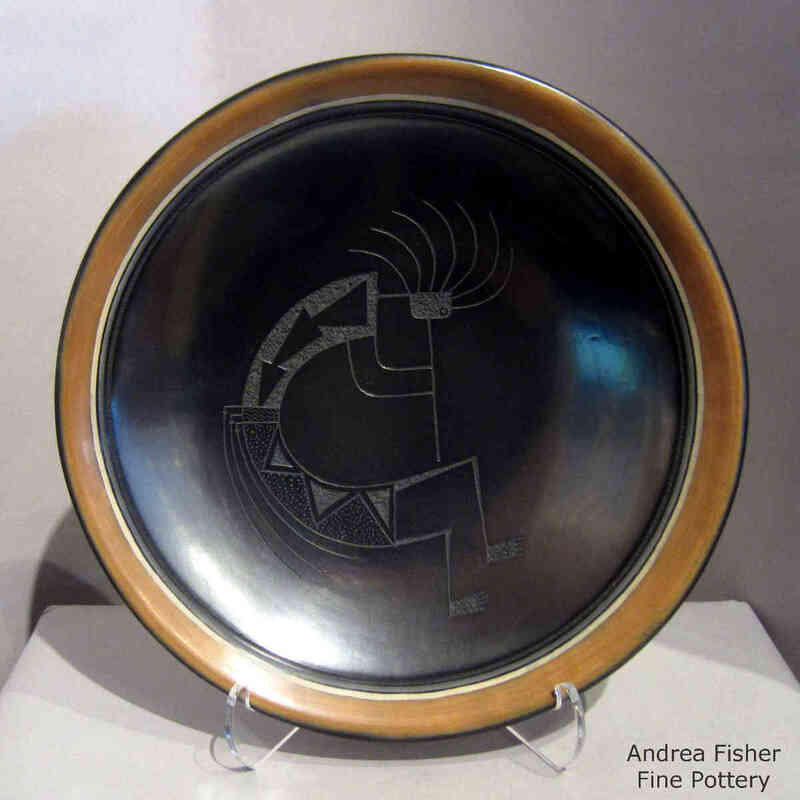 He spent the rest of his life in Assistive Care and died on February 12, 2008.